As a school of faith, in keeping with the Catholic tradition of service, it is the mission of the Mariner Parent Association (MPA) to build and sustain community and encourage engagement among the parents, students, faculty, staff, and alumni of SMCHS. In order to achieve this goal, the MPA, under the direction of the Principal, will provide opportunities for parents to be involved with the school through various projects, events and activities. 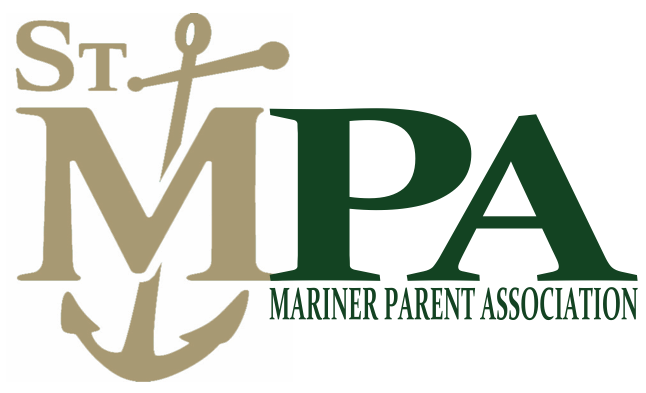 As an SMCHS parent/guardian you are automatically a member of the Mariner Parent Association. We do ask that you “register” each year to let us know your talents and areas of interest to help us best connect you to the needs of the school. We invite you to get involved with the many opportunities available within the SMCHS community, from attending activities and meetings to helping with events. Read the Weekly Compass, published via email every Friday, to find out about upcoming MPA events and volunteer opportunities. Volunteer, to help you connect with others and learn more about what the students are doing. Opportunities can be found here. Come to the MPA General Meetings. The MPA works with school administrators to host informative meetings that help parents understand the student experience and how the school works. Attend SMCHS Events. Don’t just drop off your student - Come to a game, a concert, the play! Bring your family members and friends, all are welcome! Follow, Like and Engage on Social Media. Follow @smchs and @smchsmariners on Instagram. Please feel free to contact me if you have questions or ideas.